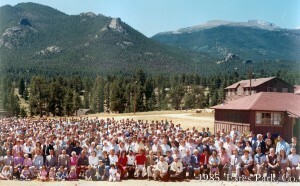 At the recent Celebrate 2010, the annual conference of the Fellowship of Grace Brethren Churches, the Brethren Missionary Herald Company encouraged conference delegates to walk down memory lane with a slide show of images from previous meetings. The photos range from portions of a 1921 photo taken in Winona Lake, Ind., to casual snapshots from last year’s conference in Columbus, Ohio. The images have all be uploaded to the FGBC World page on Facebook. To look at Past Grace Brethren Conferences, click here.